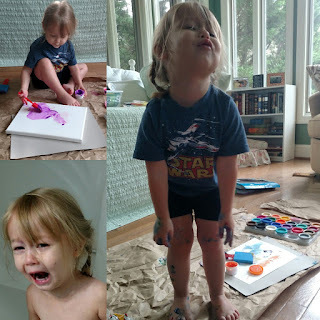 Last summer, I made it approximately one week as a SAHM with both kids home during the summer before I started frantically searching for a job. I needed to get out of my house and away from my kids. That didn’t happen. However, I did find a solution to help me stay a little saner during the summer. It involved Pinterest, a healthy reality check, and a dose of boredom. I am by no means a Pinterest mom. I cannot craft for the life of me. I would much rather buy it than make it. I order everything from Amazon Prime. I get the whole Pinterest makes me feel less than/competitive vibe. But, this one time, Pinterest came through. 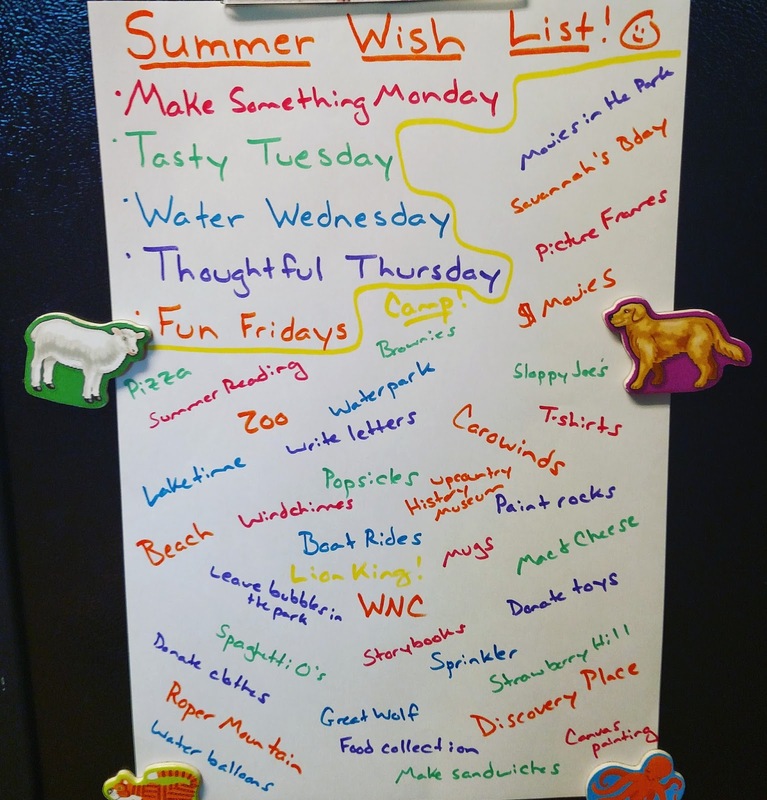 We created a Summer Wish List. I am a planner, but not a crafter, baker, decorator, etc. So, this plan stood out because it involved planning, but minimal time and effort. 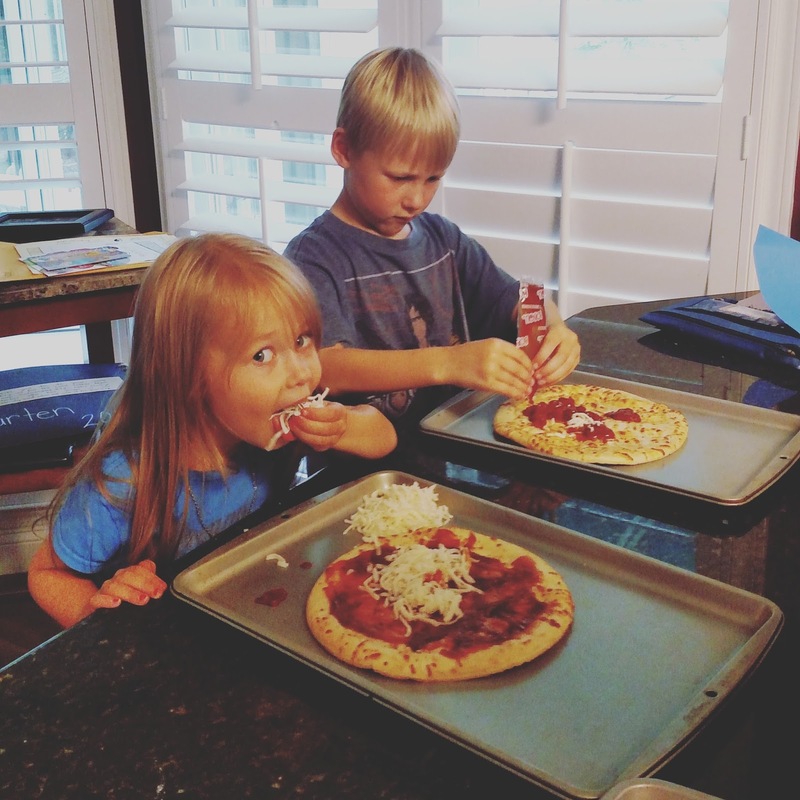 Prepare yourself for a lazy mom’s Pinterest guide to staying sane this summer. 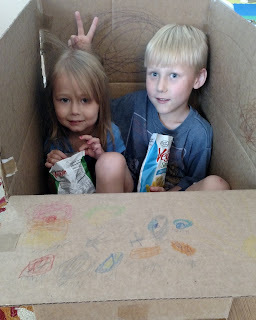 This is the day each week I designate to pulling out the paints, crayons, markers. I cannot handle paint more than once a week, okay? So, on Mondays, I let the kids do the little bit of crafting I can handle. Because I am lazy Pinterest mom, all the products have been purchased pre-assembled. Also, I am a selfish mom, so I choose things that either help me as a mom or require very little from mom. Example: The kids “decorated” their own personal dustpans with markers and stickers because this mama is over is cleaning the floor under their chairs. Ta-da! 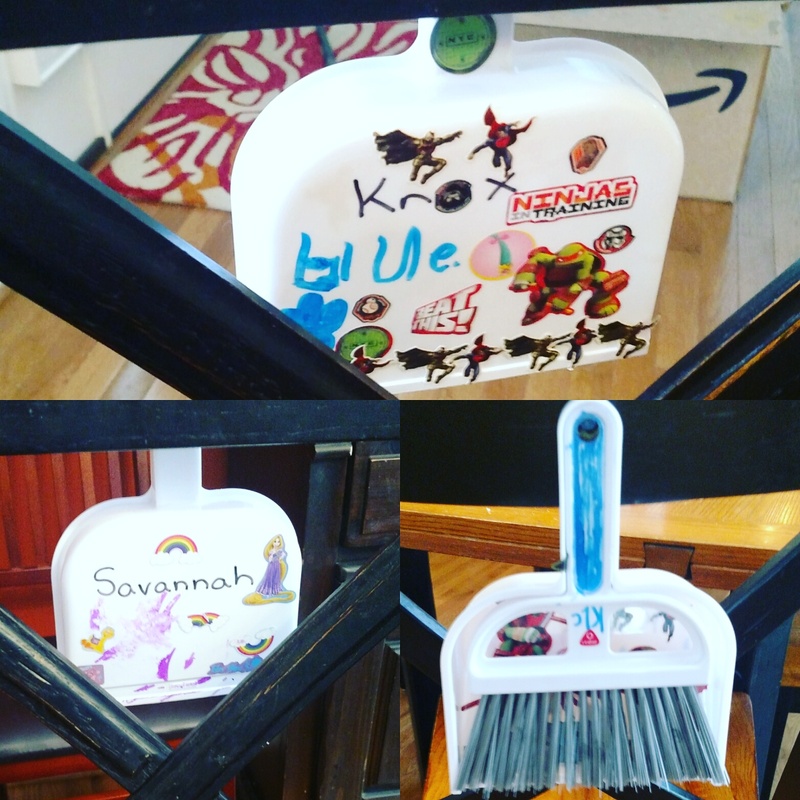 It cost $2 and it kept them entertained for almost an hour – and now their “crafts” are tacked to the back of their chairs for easy clean-up. This is the day each week my 6-year-old son makes dinner for the family. The sooner he learns the cook for himself, the better. He loves the opportunity to cook. But, I am not a fancy cook, and I am lazy. So, most of his meals are crockpot dump meals. Also, because I am rocking this whole lazy Pinterest mom thing, one of the summer goals is for him to learn how to make his own sandwich. Easy-peasy. Example: He made personal pizzas (all from a kit). We do some simple water activity. By simple, I mean SIMPLE. 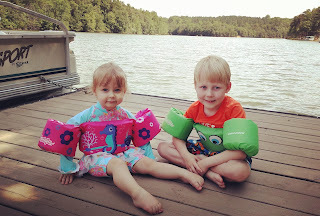 Like they will play in the sprinklers or go to my parent’s house on the lake. If I decide to be a little fancy, I might even do some water balloons. Wow. Simple explanations: While I admit to being selfish and lazy, I do make an effort to teach my kids to love others. So, Thursdays are the days designated to thinking about someone other than themselves. This covers everything from donating toys/clothes we already own to doing nice things for others (such as writing letters to family members). 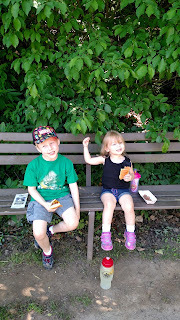 While I am all about letting the kids be bored daily by only “planning” one thing each day, I do want summer to be fun. Thankfully, we have lots of fun places to visit close by this summer. Fun activities involve going places we don’t get to go to often during the school year such as Carowinds. Example – We have a membership to the Western North Carolina Nature Center (awesome place full of animals to visit with lots of shade), but the pass also gets us into nearby Greenville Zoo, Roper Mountain Science Center and Discovery Place for FREE. We got the family membership for $69 – such a steal! For 2018, we went ahead and purchased the Carowinds season passes as well. For us, they are worth the price - especially because the pass gets you in all year long (including Halloween and Christmas events). I wrote about the 10 Reasons Our Family Loves Carowinds at Kidding Around Spartanburg if you want to find out more about it. I'm going to use this cool device called the tv - and I will not feel guilty. I'll tell them one hour for something from PBS and then let them go crazy the next hour (or two or three). Mom works. Enforced quiet time. Yeah yeah. I know people think this is impossible, but, in our home, we really do have a daily quiet time after lunch. They can play quietly in their individual bedrooms as long as I don't see or hear them. Mom works. Afternoon clean up time. This summer, I plan to take back my house. My kids have taken over and I am over it. I'm putting their little butts to work. 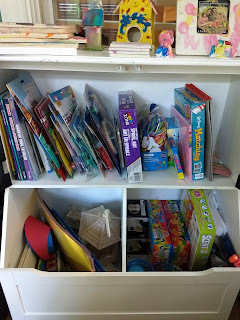 When all this fails, I have created the summer activities junk cabinet. 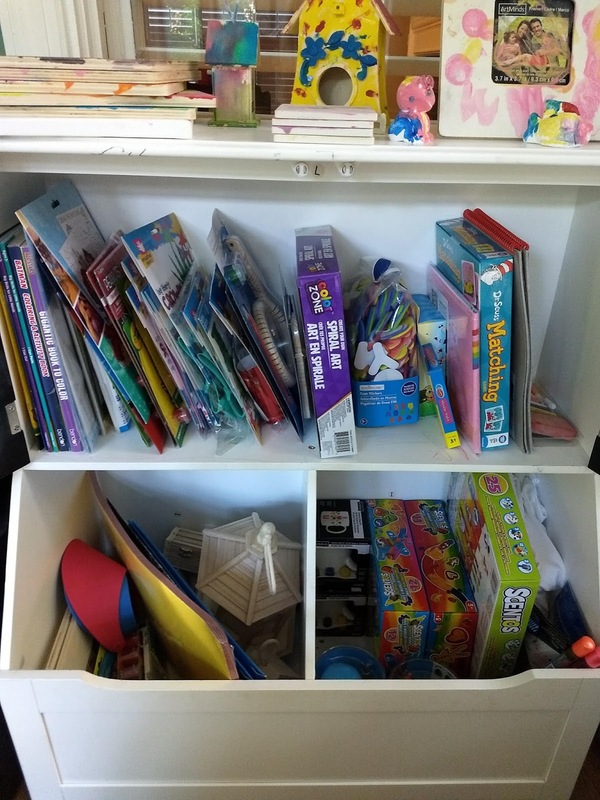 I stocked it full of cheap craft stuff, dollar store art projects, games, and coloring books. When they are "bored" or they are just getting on my nerves and keeping me from working - I am sending them to the cabinet. 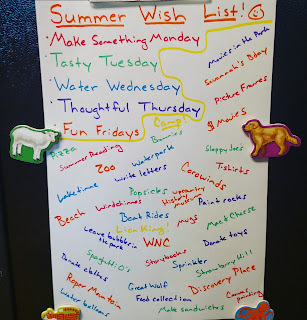 So, if you are worried about staying sane during the summer with the kids home all day, then I hope you will make your own Lazy Mom’s Pinterest Summer Wish List. Plan something small and then let those kids get bored. 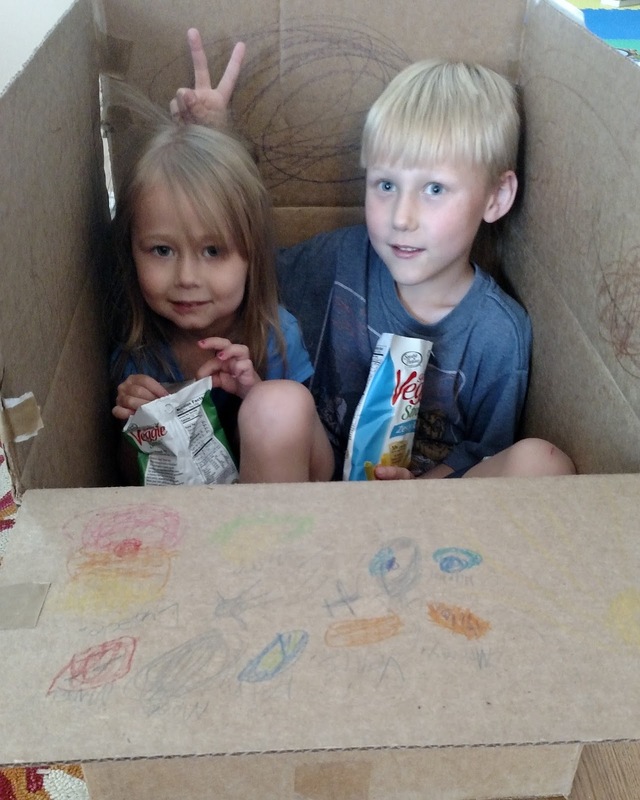 Make them color a cardboard box, look for worms outside, and read books. Good luck, fellow parents! You only have approximately 10 weeks left! This post was originally published June 7, 2017 and has been updated.